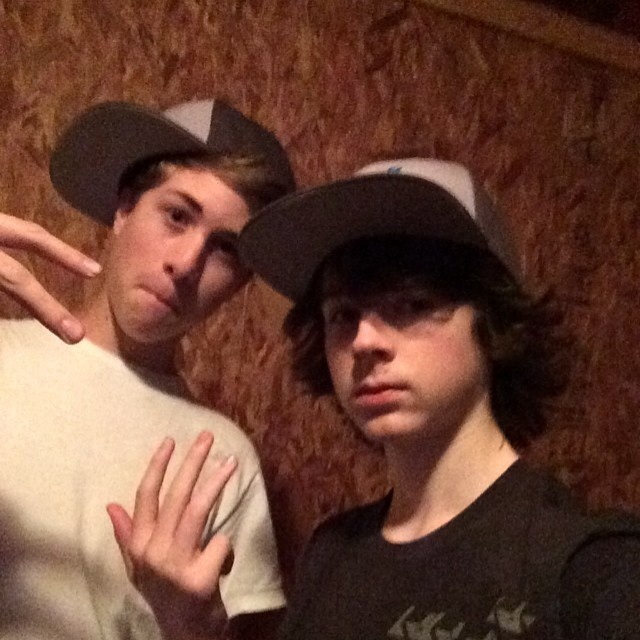 Chandler and his friend Gary. . Wallpaper and background images in the Chandler Riggs club tagged: photo. This Chandler Riggs photo contains filzhut, homburg, stetson, trilby, fedora, stetson trilby, boater, leghorn, panama, panamahut, seemann, skimmer, hut stroh, bootsfahrer, bein, strohhut, livorno, panama-hut, kampagne hut, and kampagnenhut. There might also be kavalier hut, schlapphut, slouch hut, kavalier hut schlapphut, and sombrero.